I was raised in Alaska, the Pacific Northwest and a Navajo reservation in rural Arizona — a varied array of settings that have contributed to my aptitude for solo treks and a remote creative process. Through photographic documentation I examine the ways in which the figure relates to the natural world around it. In negotiating my own surroundings, a process of performance and endurance is defined. 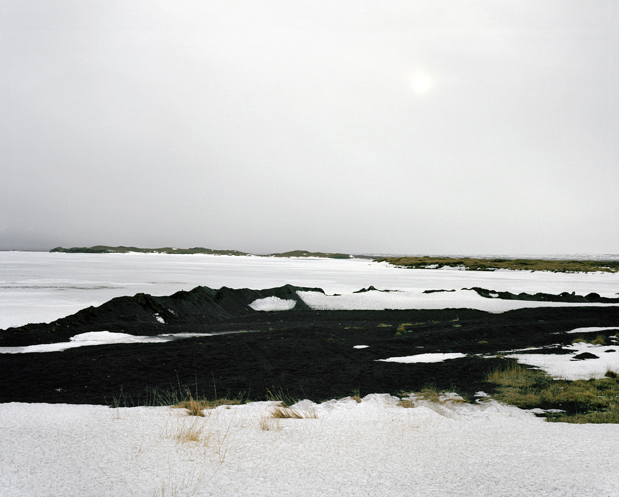 This work came from a month-long residency in Siglufjördur, Iceland. By grappling with the uncomfortable, the disquiet, the cold and unknown, I lay gesture to an overwhelming need to overcome isolation within these rural spaces as well as within myself. This riff in a seemingly picturesque space is informed by a personal coalition of nature and its aptitude for interference.